An interesting way to look at things. 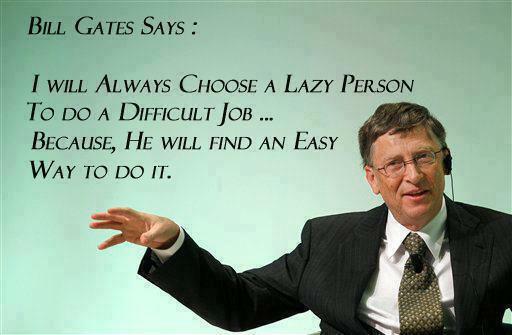 Here is another quote on lazy people. I think I’d like a day or two to practice lazy. If for no other reason than to see what happens.